News stories with big headlines are still frequent in Milwaukee, and national stories are not unusual even now about April 30, 2014, when Dontre Hamilton, 31, black and unarmed, died in a hail of 14 bullets fired by a Milwaukee police officer, white. 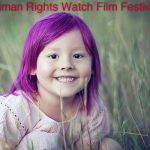 Twenty-one feature documentaries and panel discussions showcasing courageous activists during challenging times. Co-presented by the Film Society of Lincoln Center and IFC Center June 9-18, 2017.